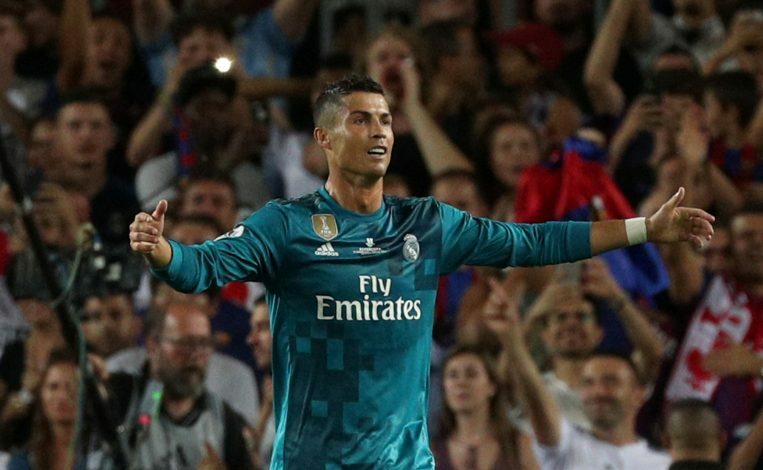 Portuguese superstar Cristiano Ronaldo is one of the most influential people, whether it comes to being on the pitch or off it. And the star’s say in the transfer matters at the Bernabeu is even more significant than one could potentially anticipate. Reports have emerged that the Real Madrid talisman is allegedly responsible for blocking five huge transfer moves during the summer. According to Diario Gol, Ronaldo was the key reason behind the collapse of former Monaco wonder-kid Kylian Mbappe’s move to the Spanish capital. It was claimed that the Real Madrid man ‘did not want’ the 18-year-old, who eventually moved to Ligue 1 giants Paris Saint-Germain, to join him at Real. The 32-year-old winger’s point of view is pivotal for Los Blancos, and only a few experienced figures such as Sergio Ramos, Karim Benzema, Luka Modric, Toni Kroos and Marcelo can oppose his verdict. Only manager Zinedine Zidane and president Florentino Perez are said to hold a higher ground in such matters than Ronaldo. It was further claimed that the Portuguese was responsible for ending his club’s interest in four other superstars, including former Barcelona striker Zlatan Ibrahimovic, Paris Saint-Germain star Edinson Cavani, and Bayern Munich’s duo of Robert Lewandowski and Arturo Vidal. The La Liga and European champions are keen on signing a top striker, as both Benzema and Gareth Bale have been in poor form. Also, the Portuguese hero is not getting any younger, but his influence over the decision making at the Bernabeu has become even stronger. Furthermore, Ronaldo is not yet prepared to share the limelight with any future stars, or even the ones who may undermine his role at the club. Hence, a potential future star moving to Madrid won’t happen until their current mega-star decides to take a step down.